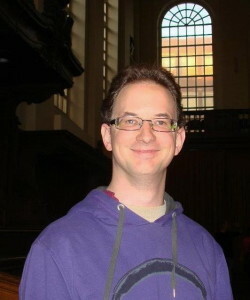 David van Lith (1984) has been involved with music and singing since the age of 9. After years of being a boy soprano and soloist in the Hague’s Boys Choir (Haags Matrozenkoor) he moved on to the young talent department of the Royal Conservatory in The Hague. In 2007 he graduated in music education, followed in 2011 by a bachelor in Classical Singing. His main singing teachers in that period were Kees Jan de Koning en Barbara Pearson. Last year he had a couple of intensive lessons with Marcel Beekman and nowadays he again works closely with his former teacher Kees Jan de Koning. He has a broad range of repertoire, reaching from Gregorian chant to modern classical music. His most recent performances as a soloist were J. S. Bach’s Johannes Passion, Cesar Franck’s Die sieben Worte Jesu and Händel’s Messiah. David is also regularly hired as an ensemble singer for all kinds of projects. To name a few: Laurens Collegium Rotterdam, Haags Vocaal Ensemble Ad Hoc and the Netherlands Chamberchoir. Two years ago he participated in the ‘Meesters en Gezellen-project’ which has served as an inspiration and starting point for the Tenso Europe Chamber Choir. David is temporarily the artistic director/choir conductor of Voices Unlimited (The Hague), the Women’s Choir Cadans (Pijnacker), the Lions Choir (Rijswijk) and vocal coach/second conductor of the Haags Matrozenkoor.